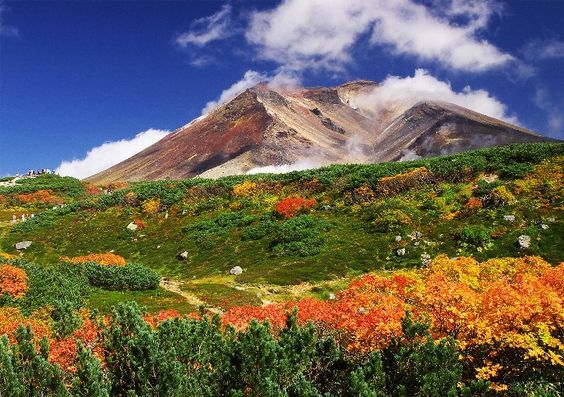 For those who consider themselves mountaineers and backpackers, no mountain may be as satisfying as Mount Asahi, the tallest peak on the island of Hokkaido. Standing at 2,909.9 m (7,516 feet), it is by no means Mount Fuji; that said, the scenery is outstanding. During the summer, the moderate temperatures and gentle trails make it a popular destination for people who want a relaxing journey to the peak. In the winter, Mount Asahi becomes a ski and snowboarding wonderland.